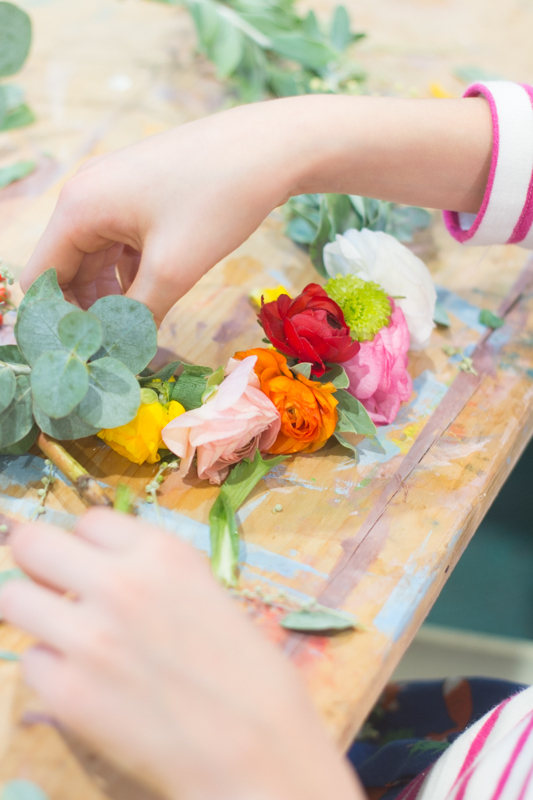 I’m just popping in to share about a lovely fresh flower crown workshop that my twin daughters and I did a few week-ends ago in Milan. The workshop’s venue was the most charming little café that doubles as a cultural centre called Spazio Culturale My G where they offer all sorts of creative courses for kids and adults. It’s a bright and colourful space filled with charming old couches, mismatched wooden chairs and an amazing book corner (where they even sell my favourite FLOW magazine!). 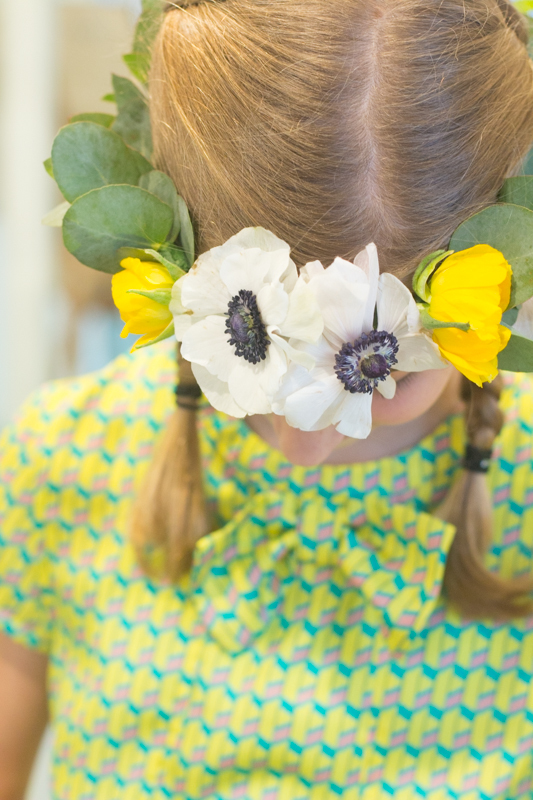 When we arrived at the workshop we were warmly welcomed by our flower-crown teacher Jessica from the blog Uhlalà. Such a vibrant and happy lady and so talented with flowers. 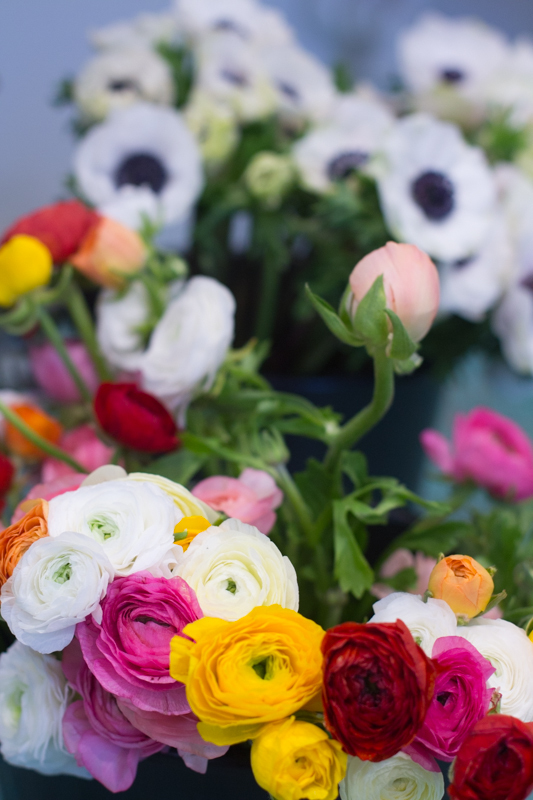 The flowers that we worked with were Ranunculus, Anemone and Chrysanthemum. There were also branches of a special type of Mimosa that I had never seen before, Eucalyptus branches and some berry branches as well. A beautiful mix of colours and textures. 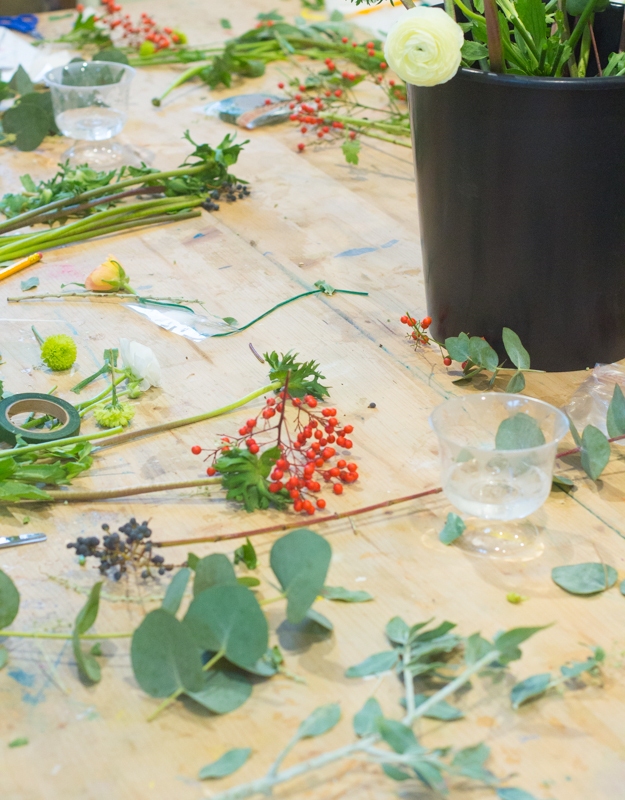 About 15 of us worked around a big wooden table covered in buckets of flowers, berries, special florist tapes and tools and different coloured ribbons. Jessica explained everything perfectly and we dove in and started creating our crowns. I was amazed at how quickly the girls caught on and unlike me didn’t have to think and re-think about how to put it all together. I had a serious creative block for the first half hour while my daughter Chloe worked like a busy bee non-stop and without any doubt or indecisiveness. All the ladies in the workshop made beautifully dainty feminine crowns. It was a beautiful sight to see everyone at the end proudly walking around wearing them. As you can see from the two photos above, my daughters’ crowns ended up being completely different. Their unique personalities really showed through in the finished product. 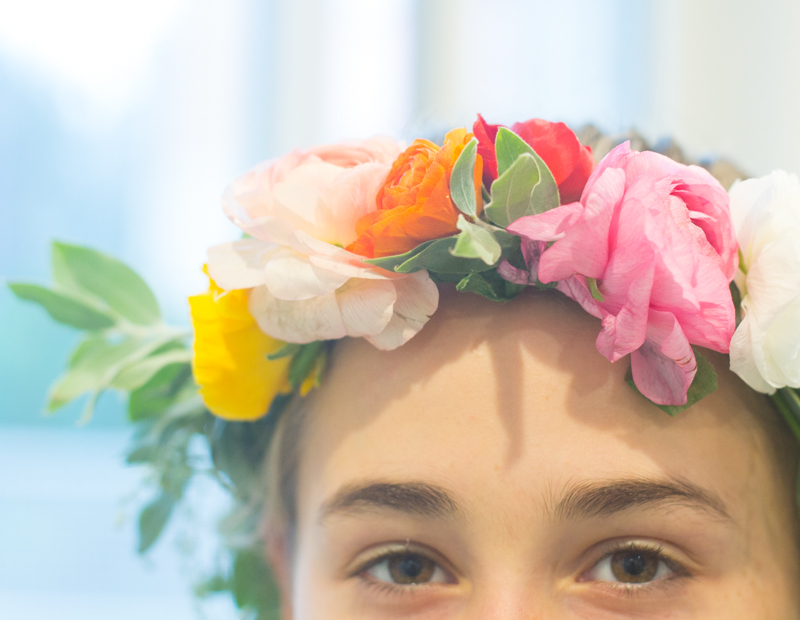 Since the workshop we’ve already had one big flower crown making session. 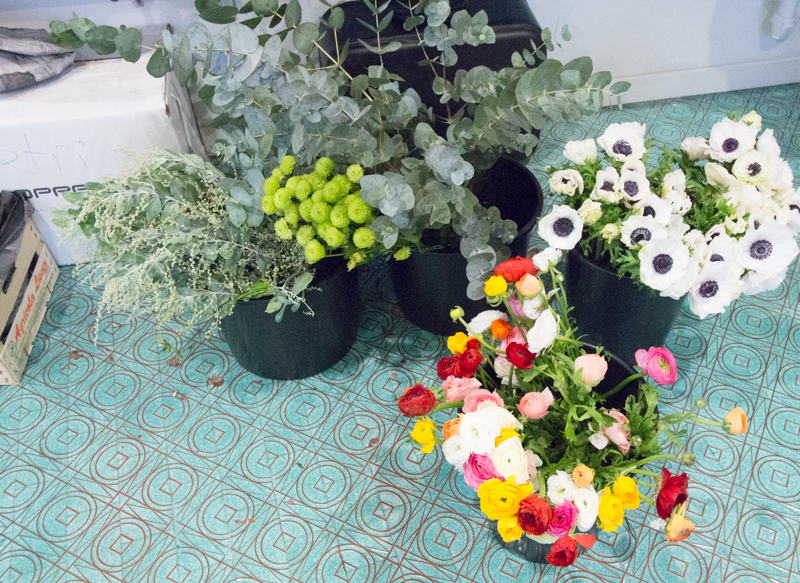 We tried out different blooms and branches that we bought and collected from our garden. They came out beautifully and we can’t wait to make some more. Many thanks to Jessica for such a lovely Sunday morning. And thanks to Yael from Spazio Cultural My G for organising such fun workshops. We can’t wait to come back. 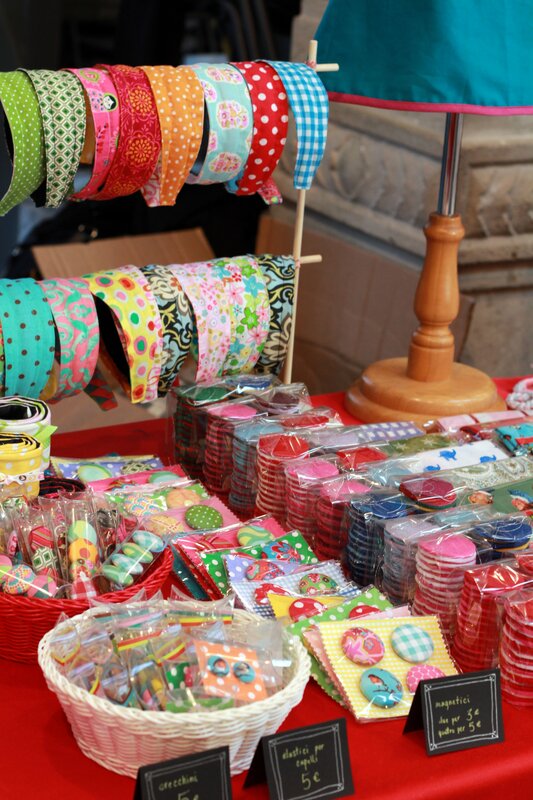 This past week-end I participated in a Swedish Christmas Market in Milan. 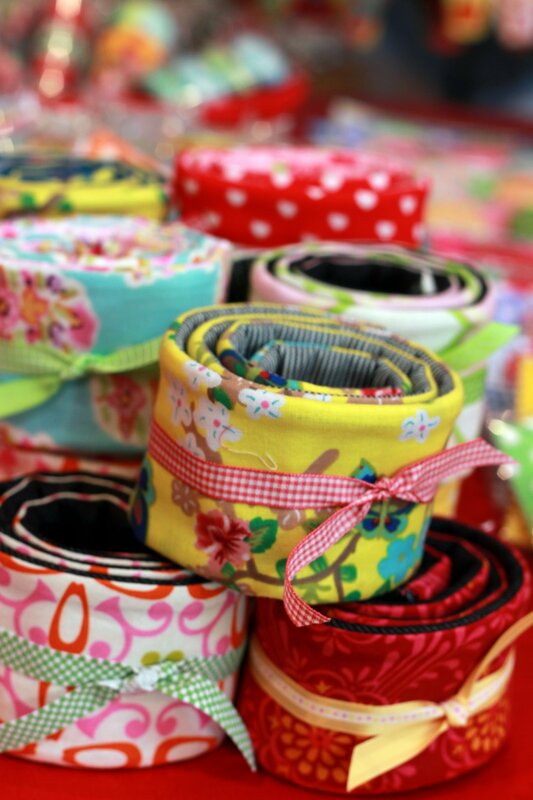 I’ve been busy sewing and crafting for the last few months getting ready for this famous market that happens every two years. I may not be Swedish (although I apparently look it) but I really loved being in the middle of this fantastic market filled with Scandinavians of every kind and interested locals. The market was located in a beautiful old palazzo called Palazzina Liberty which is situated in the middle of a park not too far from the centre of the city. From what I hear a few thousand people made their way to the Julmarknad to take a look at the Swedish food stalls, crafts and watch some typical Swedish Christmas traditions. I made children’s smocks, camera straps, felt garlands, button earrings, button hair elastics, button magnets, reversable head bands and Christmas balls (Jill style). It was colourful to say the least. Surprisingly enough the camera straps were a hit! 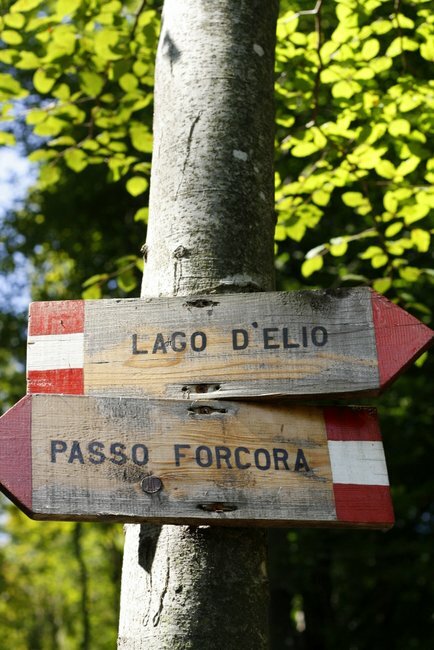 At first nobody understood what they were for because I had written the sign in English (anyone know how to say camera strap cover in Italian?). By the end of the day I saw a few ladies proudly walking around wearing their new straps. I was proud! My new goal is to bring the smock back into fashion. 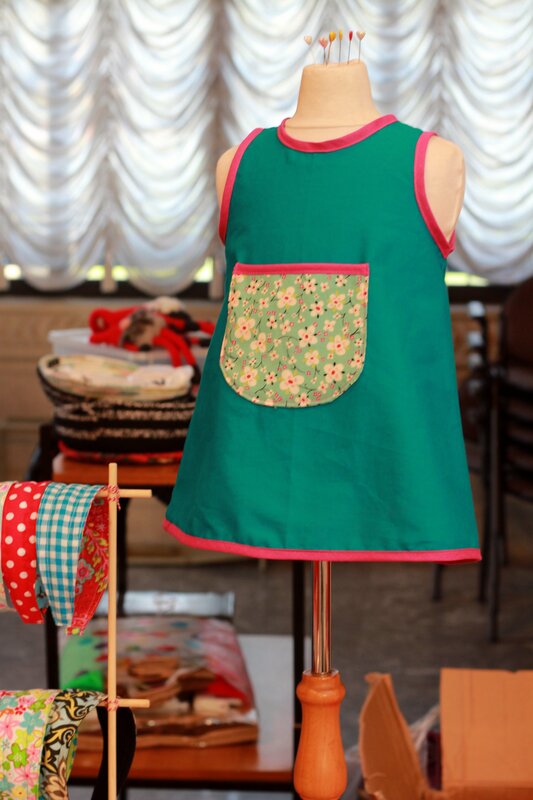 I know they are a little old-school but there is nothing cuter than a little girl in a pretty smock. Join the movement to bring the smock back (I take personal orders!). 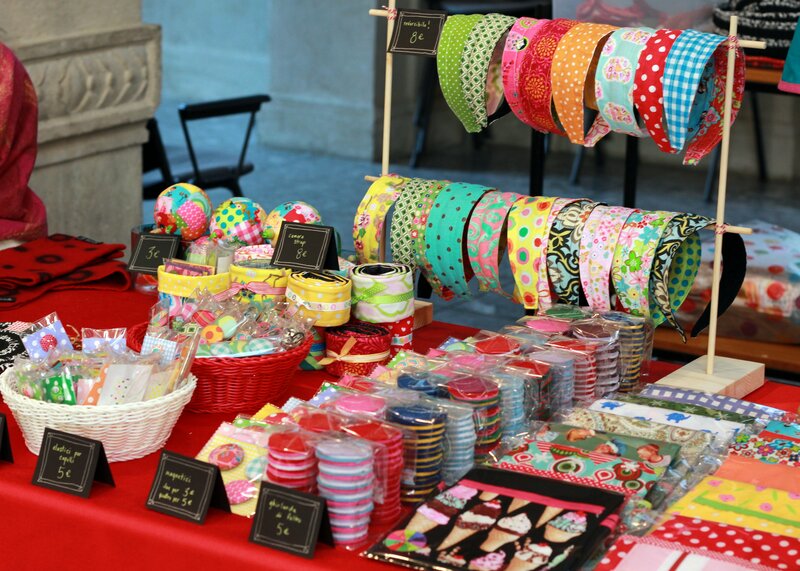 Overall a very fun day where I got to meet some great new people, buy some lovely Christmas gifts (more about those in a few days) and share my passion for colourful handmade goods with the people of Milan. Can’t wait for the next one in 2014. 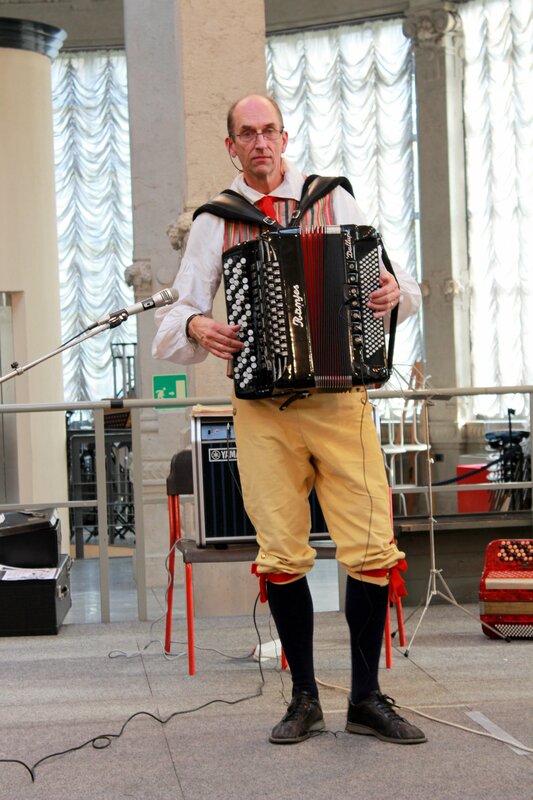 Oh and this extremely tall and talented accordion player is reason enough to visit. This guy is amazing. And he’s wearing knickerbockers. What more could you want? This past week-end was definitely the hottest of the entire summer so far. It was pushing 40 degrees, humid and the type of weather that makes me want to laze on the couch all day with a fan blowing in my face. But surprisingly enough the heat didn’t stop us from getting out and exploring our local surroundings. We are so fortunate to have so many beautiful spots within such a short drive from our home. This week-end we decided to do one day of nature (less than an hour drive to our north) and one day of city and culture (less than an hour drive to our south). Besides the heat, being stuck for four hours in traffic due to a cycling race in a small town and the last day of my son’s flu, it was an absolutely lovely week-end. Bright and early on Saturday morning we headed out to the local mountains for a hike in the woods. 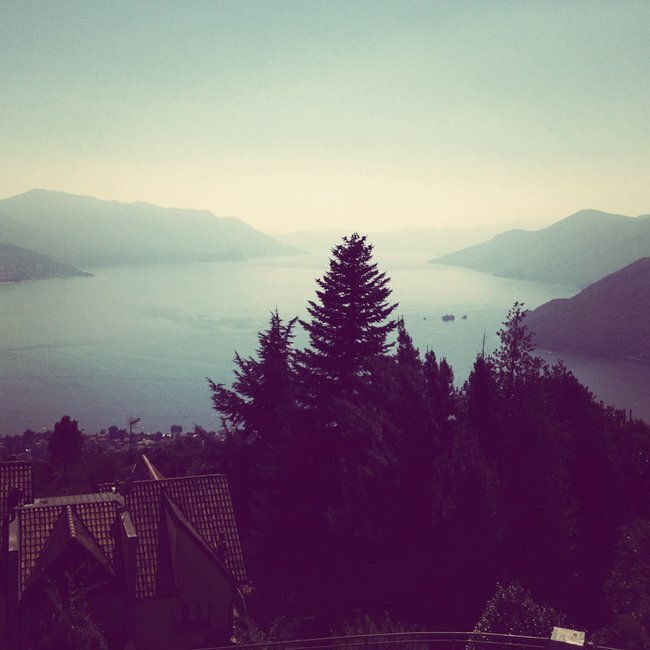 We arrived in Maccagno, a small town near the Swiss border on Lago Maggiore, and started our ascent by car up the narrow winding roads to the start destination for our hike. After about 20 minutes we arrived, some of us a slight shade of green, and ready for some fresh mountain air. 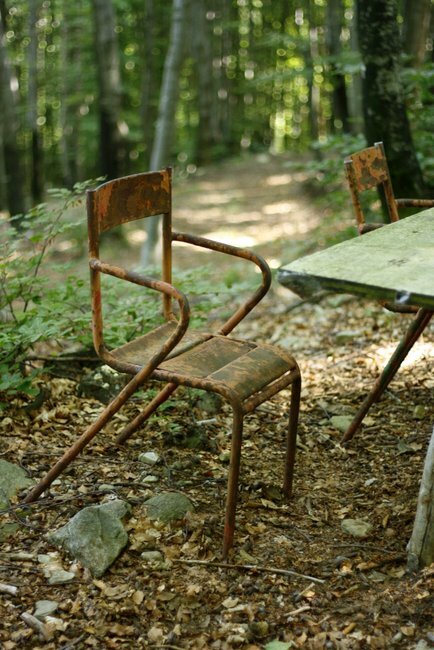 We hiked out in the open sun for about half an hour before reaching the nice refreshingly cool forest. 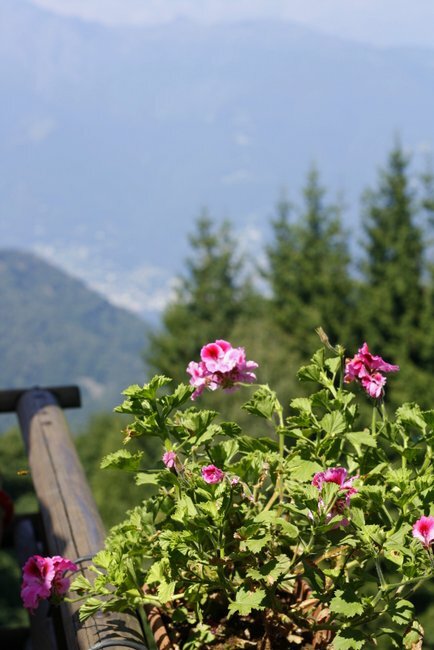 We then had about an hour and a half walk up towards Passo Focora where we enjoyed the views of the mountains and lake and ate a very heavy “mountain meal” consisting of local cheeses and polenta with deer stew (to the horror of our kids, “You’re eating bambi?”). 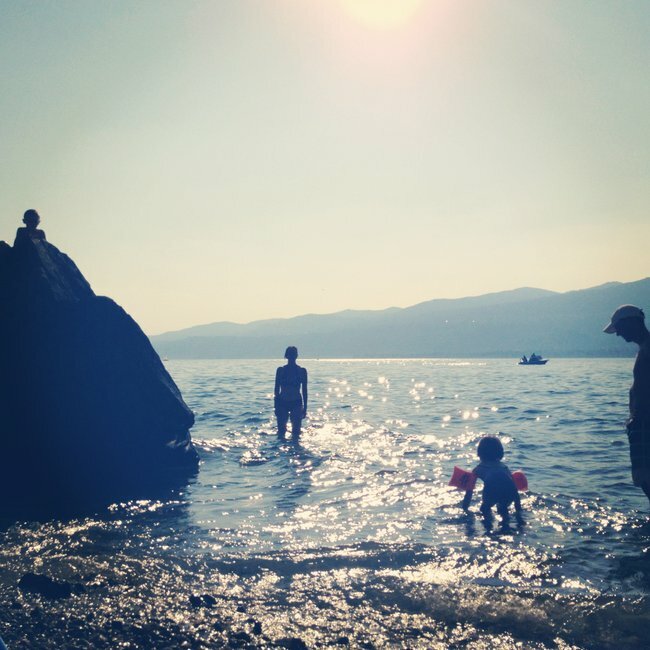 We then returned down the mountain to our car that was sitting in the 38 degree sun and rushed (as much as you can down those mountain roads) to the lake for a nice cool swim. After such a wonderful day in nature we decided to head to Milan on Sunday for some culture and our usual Chinatown visit and meal. When we arrived in Milan it was an absolute ghost town. The streets were empty of people and cars. Apparently everyone flees the city in August due to the construction holidays and the oppressing heat and humidity. 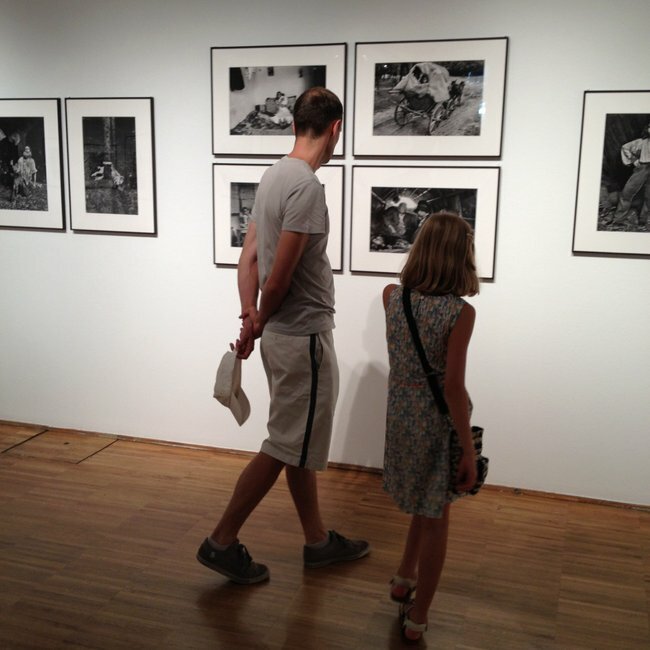 We decided to check out our favorite photography museum (Forma) to see two really beautiful exhibits. 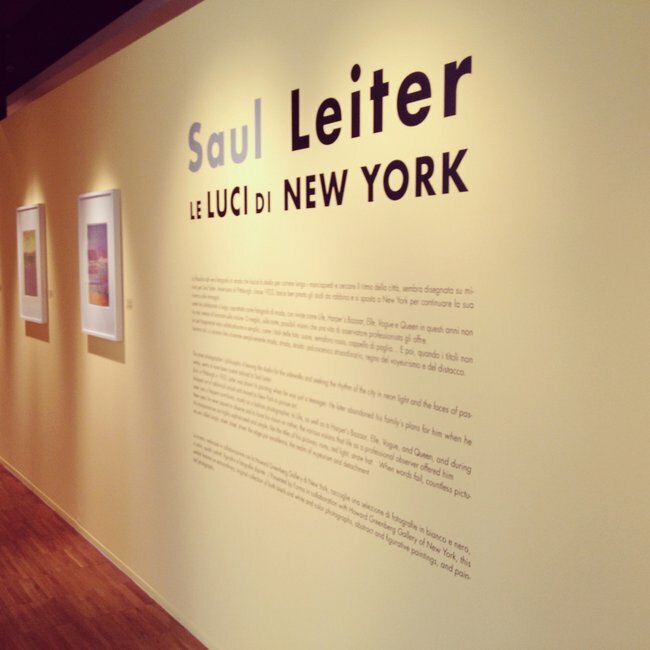 One was from Saul Letier and included many photographs of every day life from New York in the 50’s and the other was a collection of photos of gypsy families from Romania and Slovakia by Josef Koudelka. We really enjoyed both exhibits and would recommend anyone living in or near Milan to go check them out. After the museum we made our way to Chinatown for a quick shop in the Chinese grocery stores and some lunch at our favorite Chinese restautant. On our return home we, of course, headed to the lake for an early evening dip and cool off. Overall a pretty perfect week-end. 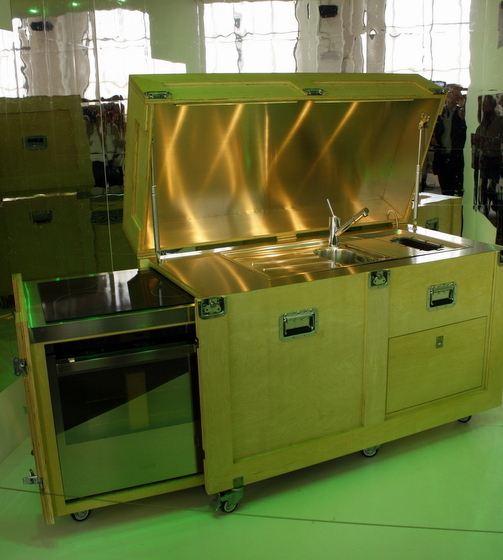 Every year in April there is the world famous furniture design fair Salone Internazionale del Mobile in Milano. 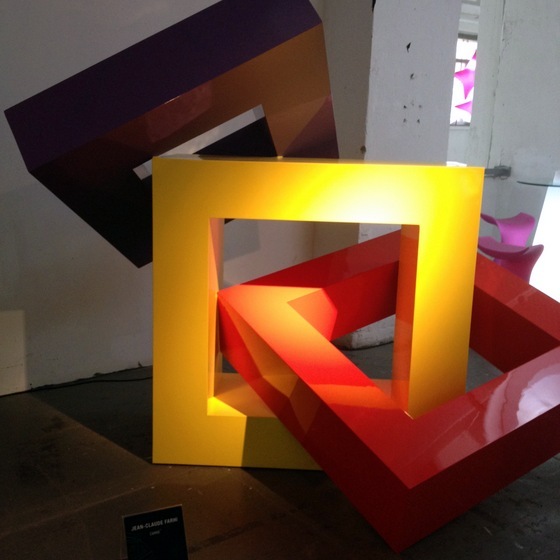 It’s a fair that showcases the newest and coolest in furniture and houseware design from countries around the world. The entire city is transformed into a design wonderland. If you stroll around certain neighbourhoods (Brera, Tortona and Naviglio to name a few) you’ll find old factories converted into showrooms full of the world’s most innovative new designs. You’ll also stumble upon smaller, more intimiate design spaces which are located in old stone houses with vaulted ceiling or even car garages that are completey made over to exhibit anything from carpets to garden furniture. The streets are packed full of people and there’s a really amazing atmosphere everywhere you go. If you pop by on the Friday or Saturday evening there are many VIP parties, impromptu music concerts in the streets and beautifully clothed people everywhere. 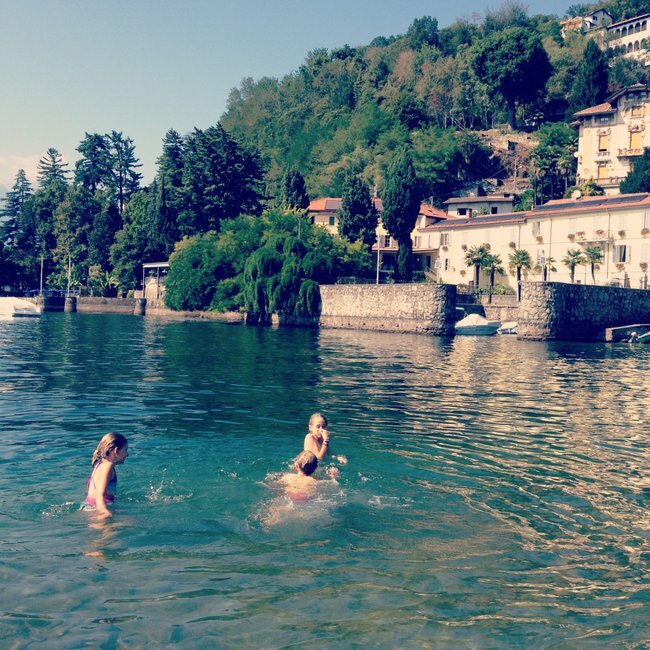 We take our kids every year and they really love it. There is so much to see, sit on, play with and learn about. 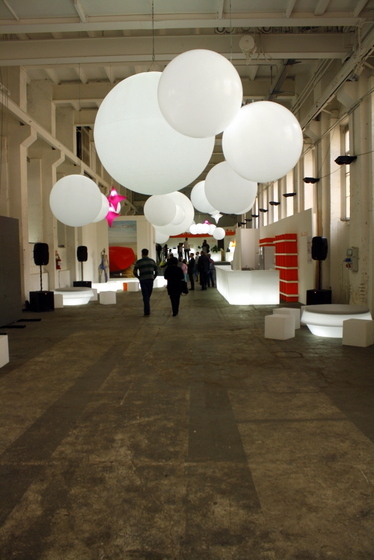 One of the many warehouses that are transformed into an exhibition space. 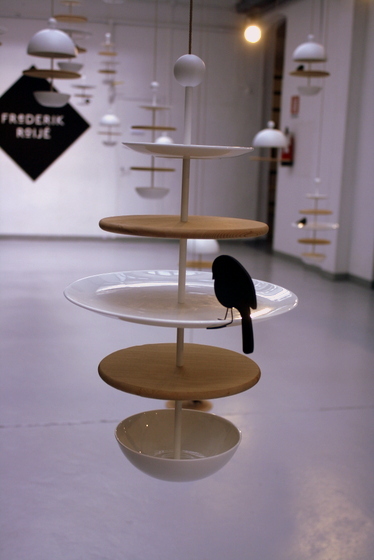 I really fell in love with this bird feeder by designer Frederik Roije The famous kitchen in a crate. You can push all the pieces in and close the lid. The epitome of space-saver furniture design. 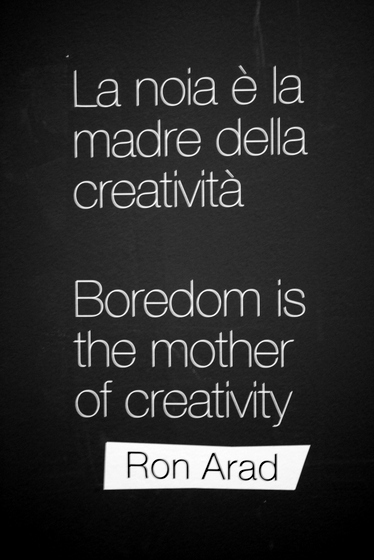 I agree with Ron Arad. We have to let our children get bored. It almost always results in the most fabulous creations. 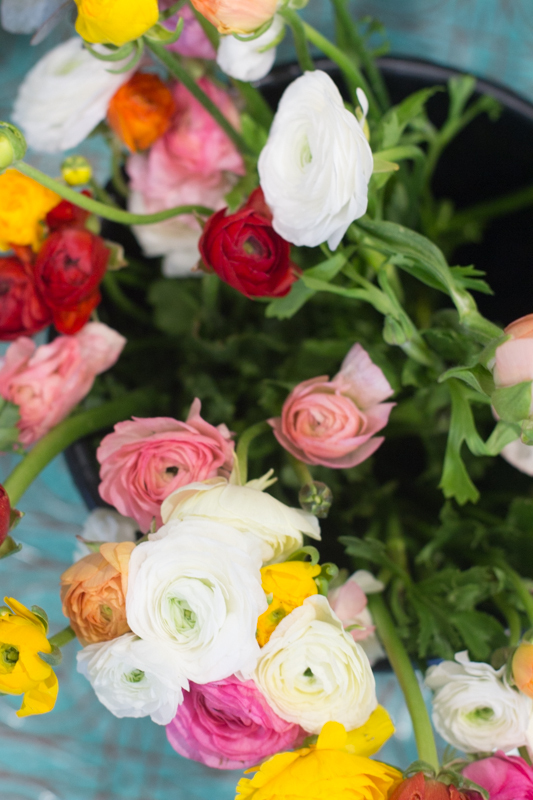 That dreaded “Mom, I’m bored” could actually be the start to something beautiful. The e-bay building. 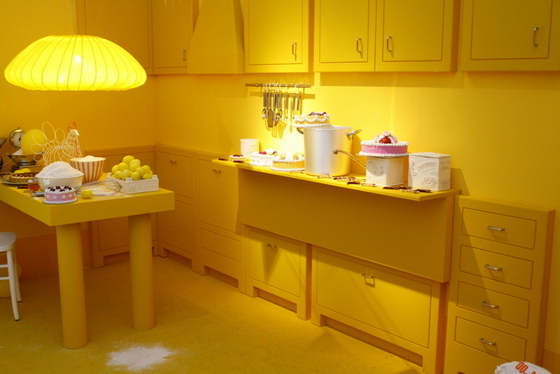 Is there anything happier than a kitchen that is almost entirely yellow? 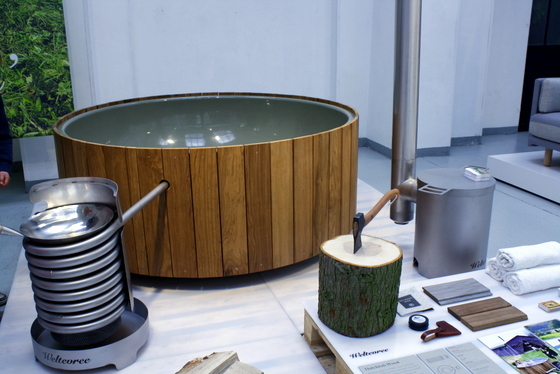 A hot tub that will heat your wok/frying pan for dinner then chop your wood? Yes please. 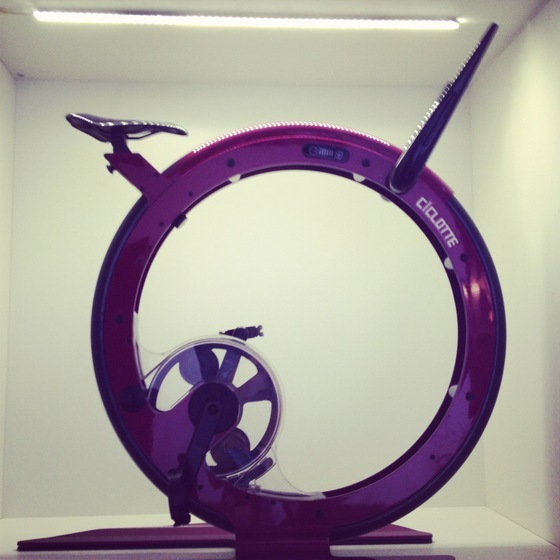 The new version of the exercise bike that you use for a few weeks then retire to the corner of your bedroom. Il Salone Internazionale del Mobile di Milano 2013 will be held from April 9-14th (according to several online sites…dates not guaranteed).